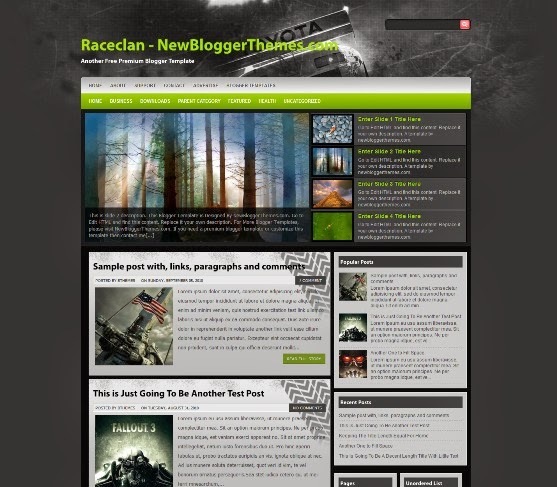 This Is a Two Column Blogger Template with a Right Sidebar.The Template Colors Are mainly White, Grey, Black and Red.The Templates Features Include Web 2.0, Adapted from wordpress, fresh, elegant, magazine, cool, business, four column footer, featured section, fixed width, tabbed widget and top navigation bar. Gamer Magz Blogger Templates is a free Magazine blogger Template has Popular Widget, Recent Post widget and Blogspot Category Post Widget with thumbnails. It has many inbuilt features such as Multi-column layout, elegant look, inbuilt widgets etc. 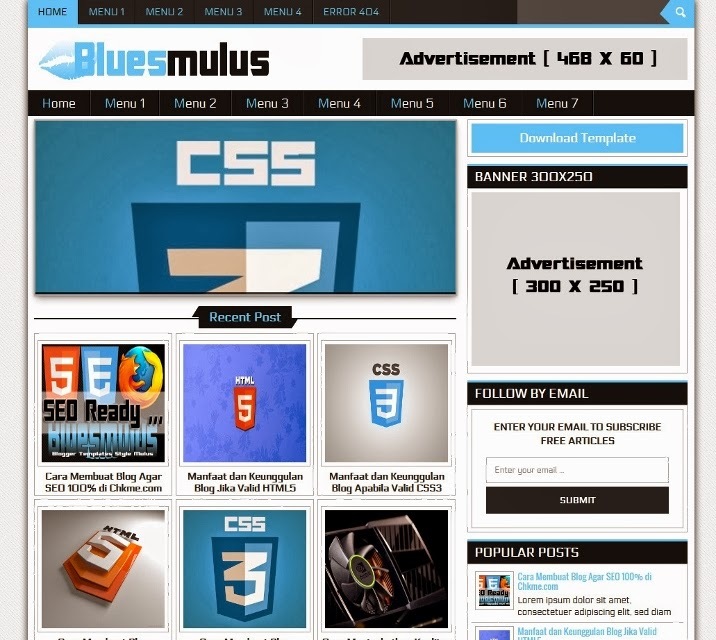 Bluesmulus Blogger Template with simple design, simple and minimalist is certainly valid HTML5 and CSS3. Features are Valid HTML5 and CSS3, SEO Score 100% in Chkme.com, Auto post Slideshow, Auto Carousel featured post, Custom 404 error page and Post by tag labels. 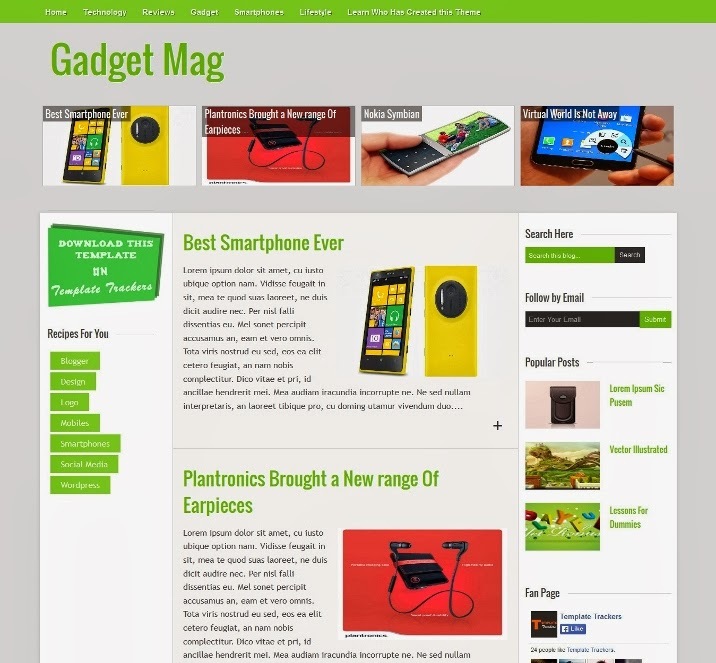 Gadget magazine a theme for responsive theme for magazine blogs. Designed in minimal way to suit your blog and give it very pleasant minimal look. This theme contains error redirection code so whenever you land on page which doesn’t exists it will redirect you to the homepage. 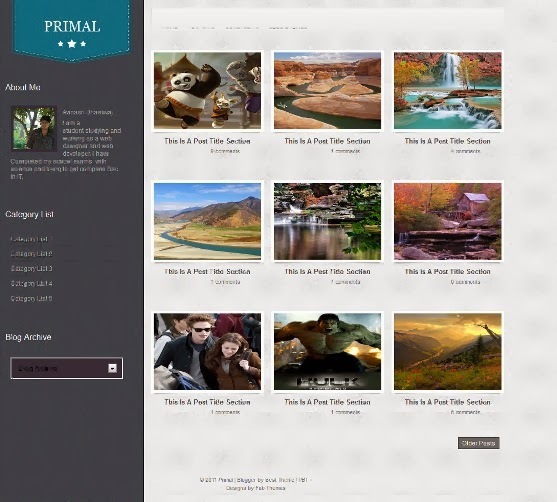 Primal Blogger Template is another beautiful blogger template which is modified and converted by us from WordPress template.This is a Portfolio template. This is a Three Column Blogger Template with a Right Sidebar.The Template Colors Are mainly Black, Green, White and Grey.The Templates Features Include Web 2.0, Adapted from wordpress, fresh, elegant, magazine, fixed width, featured section, top navigation bar and slider. 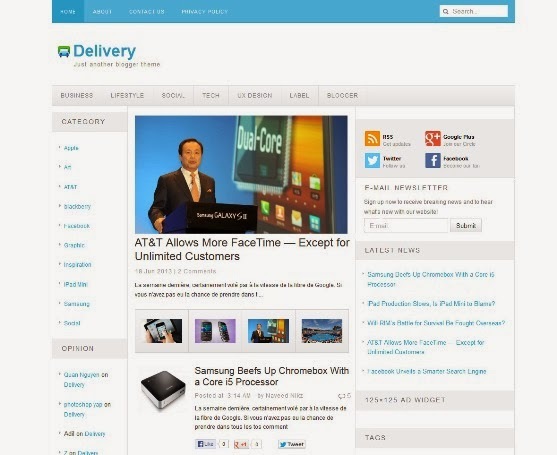 Delivery Blogger Template is a free blogger template which has a layout of 3 column with Left and Right sidebar. This template has a clean look and is simple. 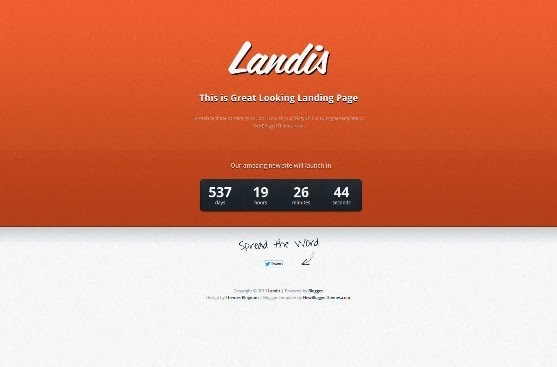 Landis has 1 Column, Adapted from WordPress, Black, Blue, Brown, Elegant, Fixed width, Fresh, Green, Grey, No Sidebar, Orange, Red, Under Construction. 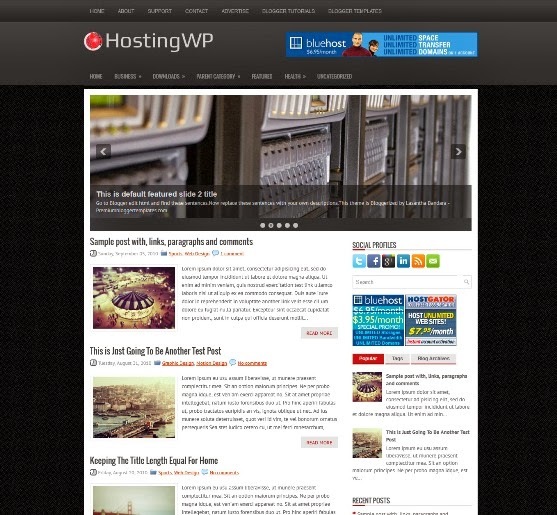 “HostingWP” is a free blogger template with features such as 1 Sidebar, 2 Column, 4 Column footer, Adapted from WordPress, Black, Fixed width, Fresh, Header Banner, Hosting, Right Sidebar, Slider, Tabbed widget, Top Navigation Bar and more. 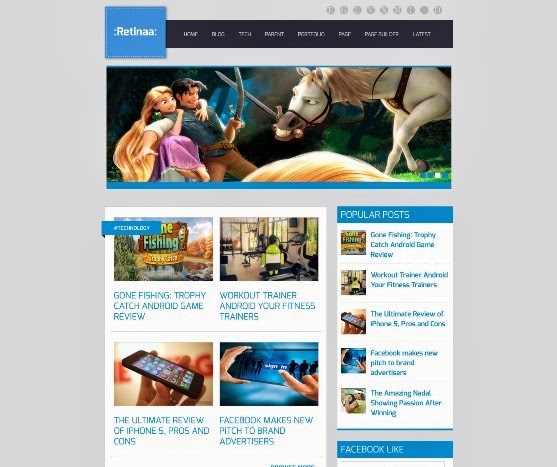 Retina Blogger template is a versatile magazine style theme designed for those blogs which are multi-niched, or covers a lot of stories of different categorize at just one place. 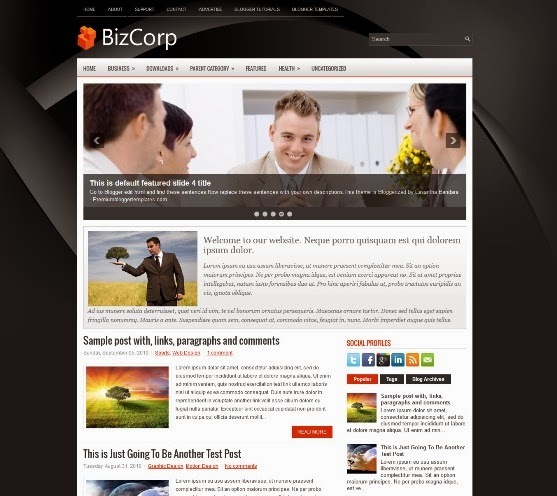 It is still ideal for all kind of blogs like Technology, Entertainment, News, Magazine, Gadgets.